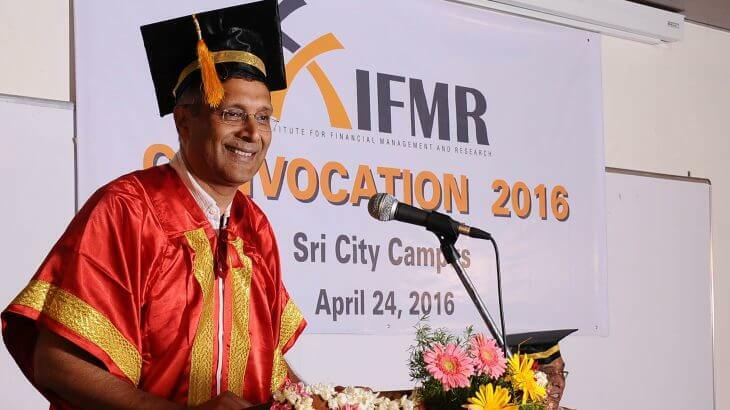 Sri City, April 24, 2016:- The Institute for Financial Management & Research (IFMR) held convocation-2016 in its Sri City campus on Sunday. Dr. Arvind Subramanian, Chief Economic Advisor to Ministry of Finance, Government of India was the Chief Guest and delivered the convocation address. The event started with the lighting of lamp by Dr. Arvind Subramanian, Dr. N. Vaghul, Chairman, Board of Governors, IFMR, Mr C V Krishnan, President, IFMR, Prof P K Biswas, Director, IFMR. Dr. Vaghul declared the Convocation Open and congratulated all the graduating students and their proud parents and wished them all the best. Delivering the convocation address Dr. Arvind Subramanian, congratulated all the graduating students and gave valuable advice on the road ahead. He advised the students to stay away from the gloomy news and negativity and suggested that despite challenges, this is going to be the golden age for developing countries like India, where many economic indicators are very promising. Compared to his graduation days, he claimed that the opportunities now are wider and the future is going to be brighter,prosperous, dynamic and full of opportunities. He advised the students not to forget the contributions of friends, parents and others in their growth and concluded the speech with his best wishes for the students. After the Vote of Thanks by Dr Lakshmi Kumar, Chairperson, PGDM Programme, Mr Vaghul, Chairman, Board of Governors, IFMR, declared the Convocation closed. The event ended with the National Anthem. Prof. C. V. Krishnan delivered the welcome address, followed by the presentation of Institute’s report by Dr P K Biswas. Prof Biswas highlighted the events and activities by the students and also various achievements by the institute which includes another year of 100% placements with increase in the average salary and the award from ASSOCHAM for being the best business school in CSR. 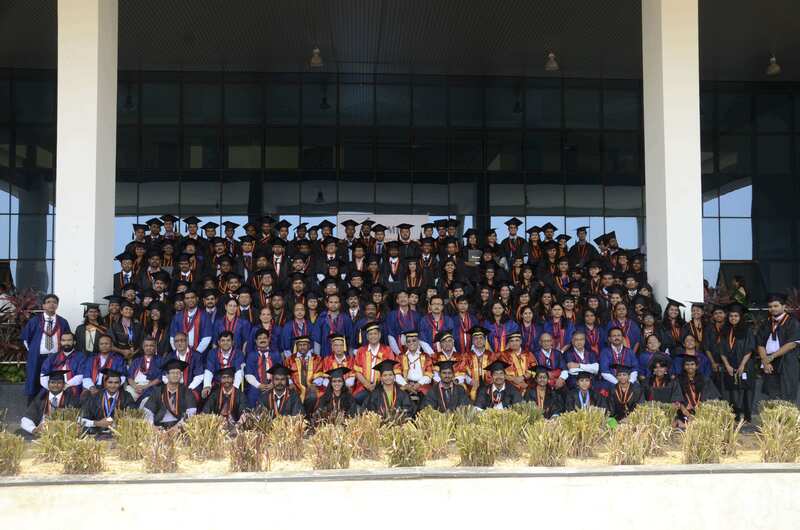 acre campus in Sri City with a student strength of 360. Located in a manufacturing hub comprising some of the world’s leading companies, the campus provides stu-dents and faculty with world class infrastructure and outstanding opportunities for collaboration with industry. IFMR’s curriculum offers a mix of theory with simulated real life exposure and endeavours to shape global business practices through inventive, sharp thinking and cutting-edge research. IFMR currently offers full-time and part-time PGDM programmes, a Ph.D programme as well as both open and customised management development programmes.